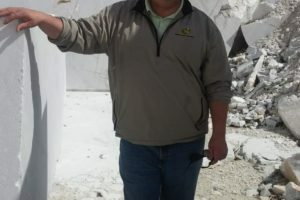 We regularly get asked the following question: What’s the difference between Quartzite and Quartz? These terms are sometimes used interchangeably by those selling stone countertops. Things get even more unclear because many consumers are familiar with the mineral Quartz (as in Quartz Crystal) and think that the word Quartz means a countertop material quarried from Quartz. Quartzite is a metamorphic rock, as are Granite, Marble, and Soapstone. It forms when quartz-rich sandstone is subjected to extreme heat and pressure. Under these conditions, individual quartz pieces will melt, cool, and recrystallize into a decorative, often marble-like, pattern. The interlocking crystalline structure of Quartzite makes it a durable and visually appealing countertop material. Quartz (the countertop material), is made from ground-up Quartz, pigments, and polymers that are placed in a mold and subjected to high temperature and heat. Examples are our partners, Dekton®, Silestone®, Caesarstone®, Vicostone®, Polarstone®, Daltile®ONE Quartz, and PentalQuartz®. Here’s another question that we get asked: Why choose quartzite? 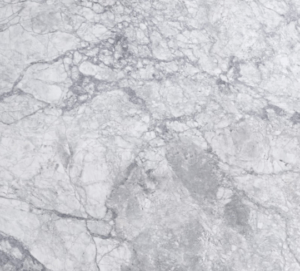 Quartzite is an increasingly popular choice for homeowners and interior designers. Its color palette, natural color variations, and good looks make it a go-to material for kitchen countertops and feature walls. 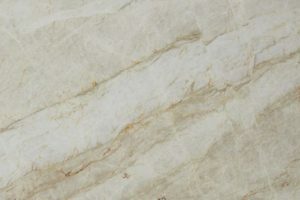 One of the main benefits of Quartzite is that many of the varieties look like marble and require much less maintenance. 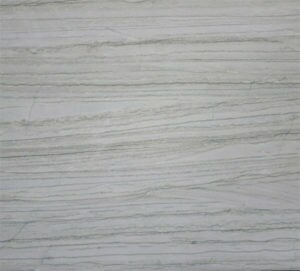 Quartzite can be a good option for those who like the look of marble countertops but want something sturdier. Quartzite is naturally strong, durable, and relatively heat resistant. Though it comes in a range of colors at its purest form, it’s white, like marble. Mineral impurities can create some incredible patterns and colors. Natural, earth-toned hues are the most common. Quartzite can also be found in blue, green, pink or red. The color variations depend upon several factors such as the amount of iron oxide present, the quarry’s location, and the age of the stone. Some rare Quartzites are translucent and can transmit light, like onyx. 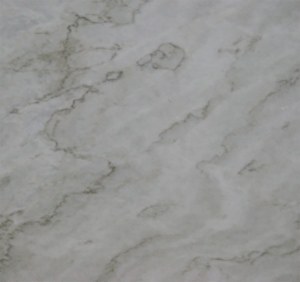 Quartzite should be sealed to help protect its surface from stains. A sealant is typically applied during installation, and should be re-applied every 5-15 years depending on the amount of wear and the type of sealant that was used. As with all natural stone surfaces, spills should be wiped up as soon as possible. 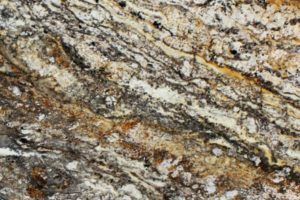 In the stone industry, the term Quartzite is also used to describe stone that is closely related to dolomites and marbles. It’s important to know if the Quartzite you’ve selected is a “soft” or “hard”. Hopefully, you now have an understanding between Quartzite, Quartz (the mineral), and Quartz (the man-made countertop material). For more information, contact us.